Foster the exploitation and commercialisation of the results of selected third-party projects through a tailored process of coaching and mentoring. The project will provide financial support to third parties to meet these aims. To this end, three rounds of open calls will be organised during 2019-2020. Bootstrapping trust at the protocol level, to maintain a decentralised Internet Infrastructure, for the establishment of trust, privacy (and security) between end- users and services. An indicative list of pre-identified areas of concern is annexed. Proposers may use these areas as inspiration for developing their projects or may address additional areas of concern (specific topics) that they identify. 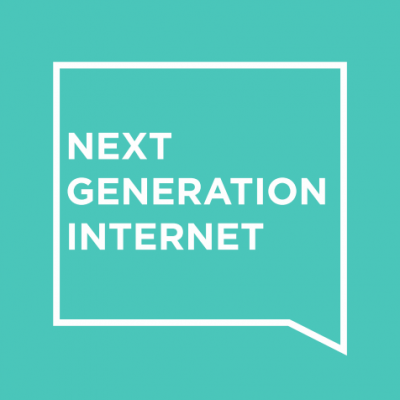 The NGI_Trust consortium expects that proposals submitted to the open call will seek to develop, whenever possible, use cases that can be scaled up or deployed as rapidly as possible to support practical privacy and trust enhancing solutions for the human centric internet, putting the “human being in front of the tool” and not vice-versa. The use cases should address specific opportunities or challenges in the research and education, public sector/government and/or business sectors (or verticals). Applicants should explain how they will adopt a ‘user-centric’ approach to enhance trust and privacy by consulting or involving individuals, communities of practice or organisations in the co-design of applications and solutions. 3 Who can apply for funding? The call is open to individual or team applications (see guide for applications for further information). Teams can involve experts from various disciplines including technological, legal ethical, sociological or economic expertise. Applicants may be legal entities or natural persons and should be registered (for organisations) or resident (for individuals) in an EU Member State or a Horizon 2020 associated country (list of countries). 4 What sorts of projects will be funded ? Type 1 (viability) : up to € 100,000 from NGI_Trust, no matching funds required. The objective is to explore and assess the technical feasibility and/or commercial potential of a breakthrough innovation that aims at enhancing privacy and trust for the NGI. Activities can include conceptual development, risk assessment, market study or intellectual property management of a new technology or service, or a new application of existing technologies. Type 2 (execution) : up to €180,000 from NGI_Trust and matching funds of up to €90,000 (2/3 - 1/3 model). The objective is to fund R&D or technology development projects underpinned by a strategic plan and feasibility assessment (which can be, but need not be, developed through a Type 1 project funded by NGI_Trust). Projects will receive support in the form of technical coaching, business mentoring and IP advice from the project partners and other NGI projects. 5 How will the projects be selected ? June 2019 : Meeting of evaluation panel and of NGI_Trust Management board to agree on selected projects. Submission of the list of selected projects to European Commission for final approval. June 2019 : contracting and signature of approved third-party grants. July 2019 – onward : project implementation. The duration of the projects will be up to 12 months. The amount of financial support will be determined, from a value for money perspective, by the NGI_Trust Management board based on the proposed budget and planned deliverables. Maximum award to any single third-party will be €200,000 over the life-time of the NGI_TRUST project. For the application form and detailed guidance for applicants, please download the files available at the NGI_TRUST Open Call pages as well as at the NGI.eu website. The NGI_TRUST consortium will organise a number of webinars and be present at a number of events during the period February-April to discuss with interested applicants. Please check the NGI_TRUST open call wiki pages & follow our twitter account: https://twitter.com/NgiTrust if you would like to register for one of these sessions.